I love to sing and I’m in my school’s a cappella choir. But what I’ve noticed is that my voice doesn’t sound all that good. I have a hard time hitting the right pitches and my voice sounds kind of scratchy. I also happen to have speech issues (which I’ve had all my life) and I’ve been wondering if that may have affected my singing. Is that true? If so, is there anyway I can fix it? Sometimes it takes a little bit of practice to get used to singing in an acappella group. If you’re having pitch issues, you’ve got to determine if it’s because you can’t hear where you’re supposed to be singing, or if your voice just isn’t cooperating. Since you say you have a hard time hitting the pitches, I’m going to assume it’s the latter. As a general rule, from a technique perspective, if you’re singing flat then it’s under supported and if you’re singing sharp, then it’s over pressed. If your throat is scratchy, I’m assuming you’re pressing a little too hard and therefore overshooting the pitch. If this is the case, then I’d suggest getting back to a speech level of singing. You want your voice to be open and released, lacking any muscular action outside in the neck area. The more tension you can release in your tongue and neck area, the better. Then, it’s just about singing on a steady and consistent flow of air with no more or less pressure than what you’d use when you’re speaking (at least this will help balance you at first). When it comes to your speech issues, I’m not sure what issues you’re referring to, so I can’t say whether or not they’d have an effect on your voice. If it’s nodules or something like that, then yes, that can have an effect on your voice. If it’s like a lisp of sorts, then I don’t think it’d directly affect your voice, but that speech issue has made you timid about using your voice, then I could see how it would have somewhat of a psychological effect. Singing requires consistency in air pressure, and if you’re backing off all the time, then you’re going to struggle to maintain the type of vocal balance that makes singing easy and effortless. If you find yourself struggling with this, just allow yourself to make mistakes or speak incorrectly without making it a big deal. 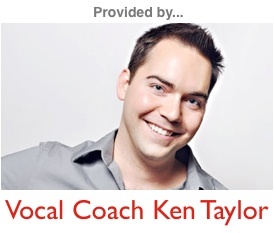 Your voice will likely sound better if you do, because vocally you’ll be much stronger. I hope this helps, and best of luck in your acappella choir!